California boosts the market for electric cars, trucks, and buses by providing incentives, grants, carsharing, vanpool programs, and subsidizing the deployment of charging stations and upgrades to the electric grid. All our communities – not just the wealthy – must benefit from the growth in electric vehicles. Commission (CPUC) and NRG Energy Inc., intended to make these clean vehicles more accessible in low-income communities. But that wasn’t nearly enough, so in 2014 Greenlining worked with the Coalition for Clean Air, Communities for a Better Environment, Environment California, and the Natural Resources Defense Council to pass Senate Bill 1275, the Charge Ahead California Initiative, introduced by Sen. Kevin de León (D – Los Angeles). As part of the Charge Ahead California campaign, we are now shaping implementation of this law, which aims to bring one million electric cars, trucks and buses to California by 2023. 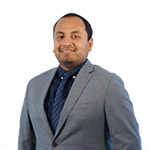 SB 1275 is creating programs to increase mobility and bring access to electric vehicle technology to low-income communities of color hit hardest by pollution and poverty and who often lack good transportation options. 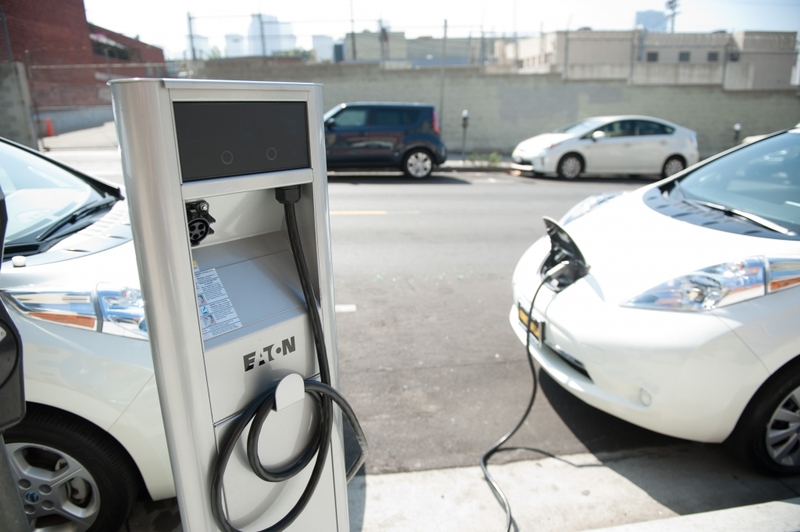 SB 1275 directs the California Air Resources Board (CARB) to create equity programs that increase access to and use of electric vehicles among low- and moderate-income individuals. We continuously work with our Charge Ahead California campaign partners to secure state funding for these EV equity programs, promote their benefits and successes, and ensure their design and implementation eliminates barriers and maximizes EV access. Electric car and truck users urgently need convenient access to charging, and this continues to be a big barrier for working families. That’s why in 2015 we became involved in three utility applications at the California Public Utilities Commission seeking approval for deployment of over 90,000 charging ports throughout California. We successfully negotiated minimum charging station deployments in disadvantaged neighborhoods in settlements with San Diego Gas and Electric (SDG&E), Southern California Edison (SCE), and Pacific Gas and Electric (PG&E). In 2016, the CPUC approved scaled-down versions of these pilots. Our advocacy helped secure a minimum of 1,625 electric vehicle charging stations in disadvantaged and low-income communities throughout California—the single largest deployment of its kind. We participate in advisory committees for all three pilot programs and ensure that design and implementation meet the needs of low-income and disadvantaged communities. Our report, “Electric Carsharing in Underserved Communities: Considerations for Program Success,” has helped shape pilot programs to provide electric vehicle carsharing services to poor communities in order to increase mobility and drive adoption of electric cars. Our resource, “Electric Vehicles for All: An Equity Toolkit,” is used by advocates and EV stakeholders in California and other states to ensure EV policies and programs help low-income communities of color access EVs. 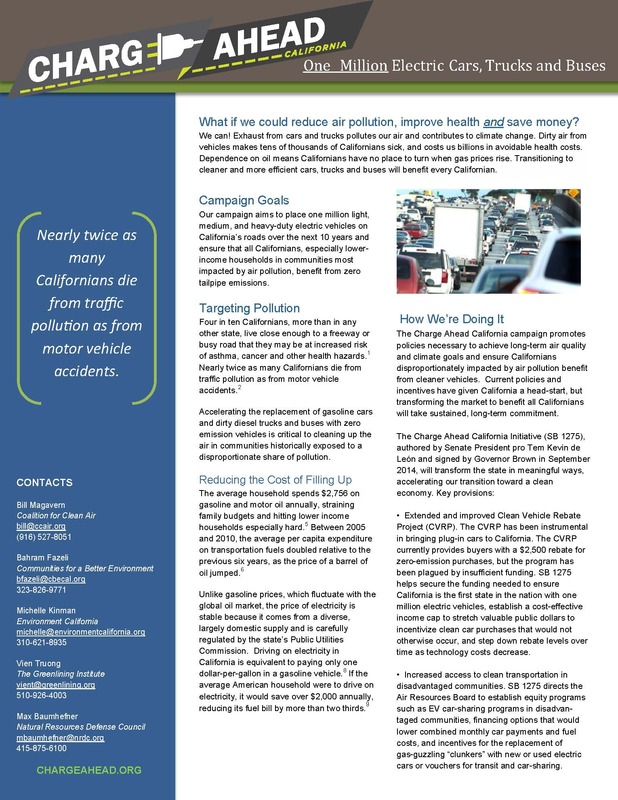 Our report, “Delivering Opportunity: How Electric Buses and Trucks Can Create Jobs and Improve Public Health in California,” developed in partnership with Union of Concerned Scientists, describes how the electrification of trucks and buses can improve public health, cut global warming emissions, and create jobs and training in communities most in need.